A new year is a good place to get back on track. Let me dig through my archives and see what I've been up to! Looking through my pictures, not as much as I'd hoped. I had to take a break from baking for a while, it was starting to feel like work and not fun. We bought a house and I got a new job and things got too crazy. I have been more committed to cross stitch recently too. 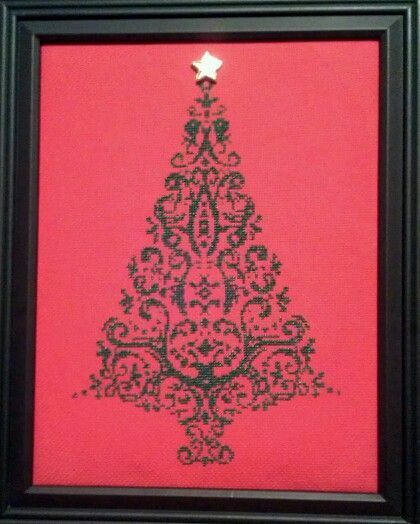 Finished in time for the Christmas gift exchange I made this pattern from a clip art I found. Stitched with metallic green thread it was a pain but came out beautifully with just a little shimmer and a gold button star. My parents ended up with it in the exchange so I'll get to see it every year! This year I really got back into the groove for Christmas. I made 30 cookie bags for my friends at work and hosted both Thanksgiving and Christmas at our house. I was so busy baking them all up at the last minute (my deadline got pushed up a week because so many people were taking the week before Christmas off work). Also, I'm very bad at remembering to take pictures. Here is a pic from my nephews birthday party in December 2013. He loved his lego batman cake and I love the ease of the new technique! I can make every cake happen even if I don't have the desire/time to go all out. Much more manageable since I'm the family's resident cake baker for all occasions. This was also (funny enough) the first time I used my cake dummy I made 3 years ago! I practiced the technique the week before to make sure it would work. I learned a few lessons but was disappointed when the actual design stuck to the wax paper for the real cake. Here is my niece's birthday cake from October 2013. I know you can't tell, because I once again forgot to take a picture of the inside. Wait, I was overrun by frantic 2-year-olds screeching for cake that I just cut and threw the plates until there was no cake left for a good picture. Once again, inspired by a Pinterest post my sister saw the inside had colored cake balls for a polka dot cake. It turned out really well thanks to making a practice cake and learning my lessons. I now own a cake pop pan too! Don't worry, these cake balls came out just fine. I just had to learn how much batter to use. 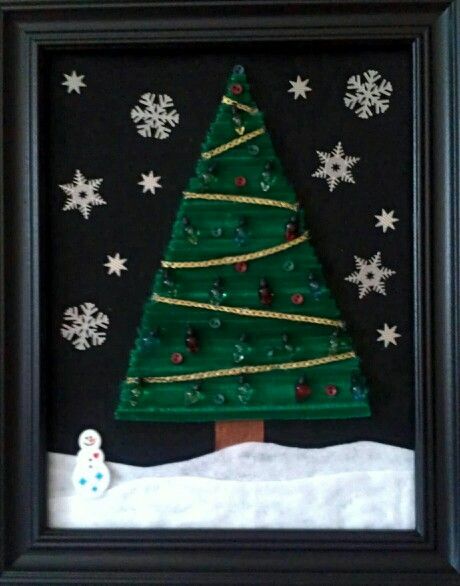 Here is a craft I made in October 2013. Oooh! I had forgotten about these cuties. BBQ cupcakes for a summer BBQ! They tasted good too, but it was mostly about good looks. 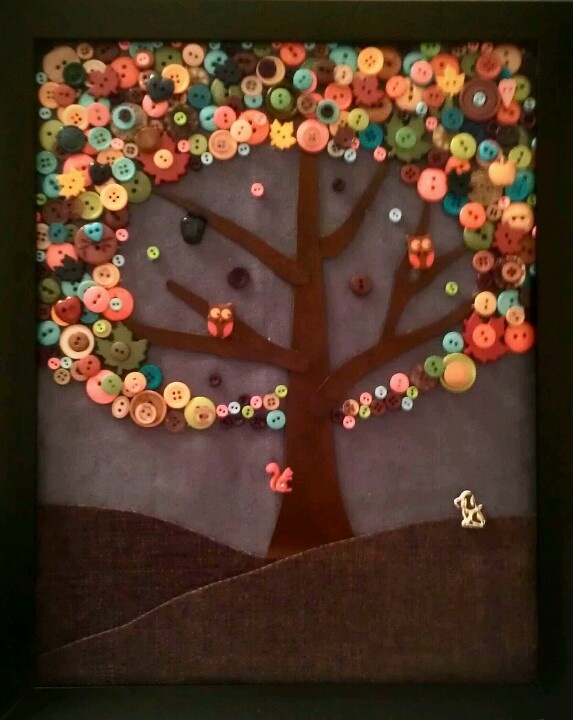 My fall button tree I made in the summer of 2013. One of my favorite things now is to wait until buttons go on sale! This one inspired the summer tree below. Probably many more to come too, so versatile and fun! 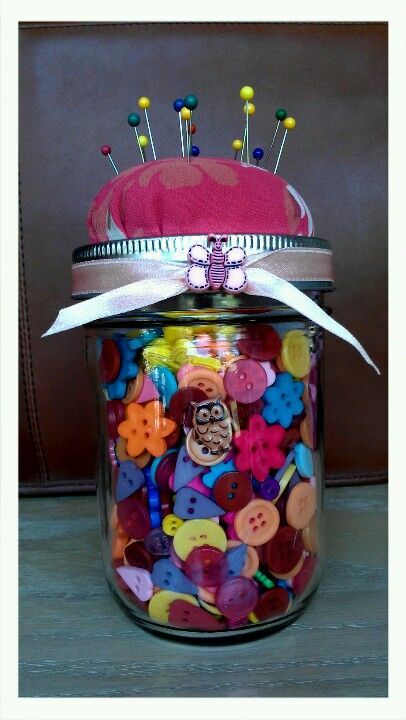 Mason jar pincushion my best friend and I made sometime in the summer of 2013. It is nice to have some weight on the pincushion so I can grab the pins with one hand. 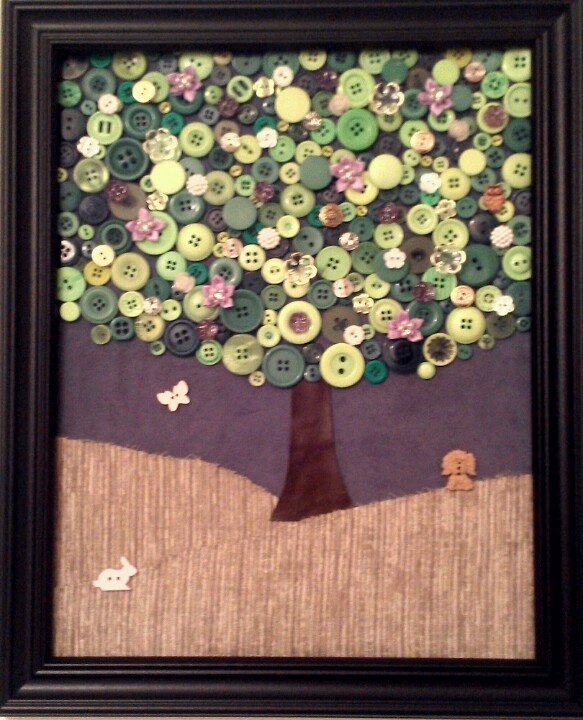 Also makes for pretty button storage. Here is a cake I helped my uncle make for an AA baking competition. He wanted a cake version of one of their coins. It came out well, although it didn't win. Probably because I ran out of frosting, it was probably a rather dry cake. Some simple Seahawks blue & green cupcakes for my nephews birthday in December 2012. Carrot cake with cream cheese frosting. There, that's it. Now I'm caught up and maybe I will be better about taking pictures this year! To support my craft and baking hobbies I have started selling my cross stitch patterns online. If it's something you want to look into here are the links. Thanks for looking!